Coin purses are so tiny, but so useful. Not to mention how cute they are! 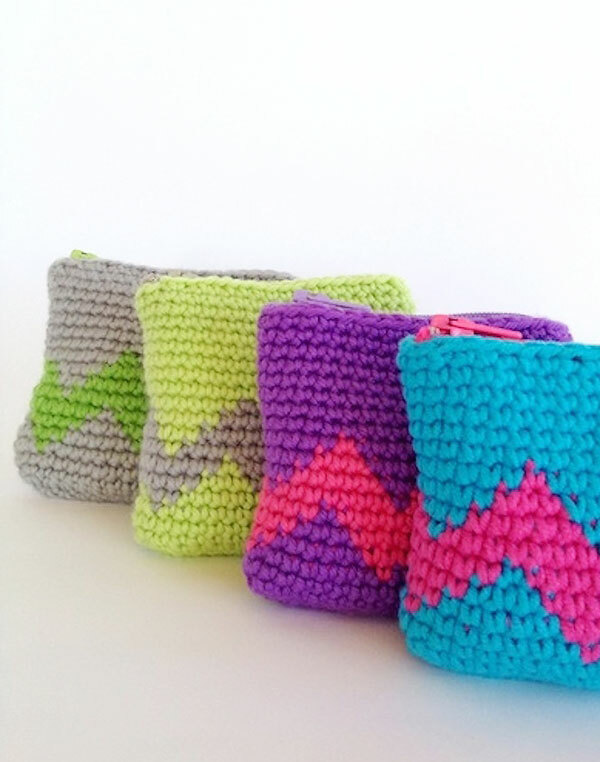 And we love the idea of a crocheted coin purse which is so versatile and so budget friendly. You can make one by using yarn scraps and you can choose a model you like from these 10 free patterns we are sharing bellow. Most of them are suitable even for beginners and they are all very quick to make. They make the ultimate weekend crochet project and a beautiful gift you can easily personalize by adding details and choosing specific colors. 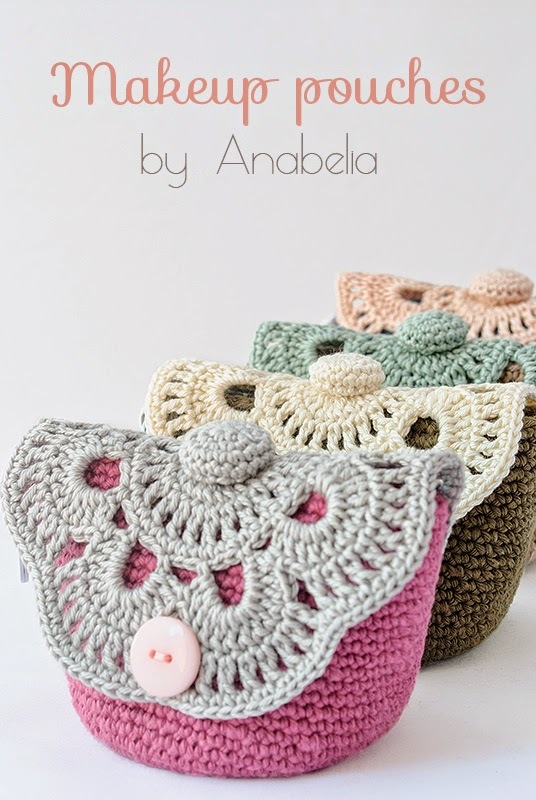 So, go ahead and take a look at our favorite free patterns for crocheted coin purses! 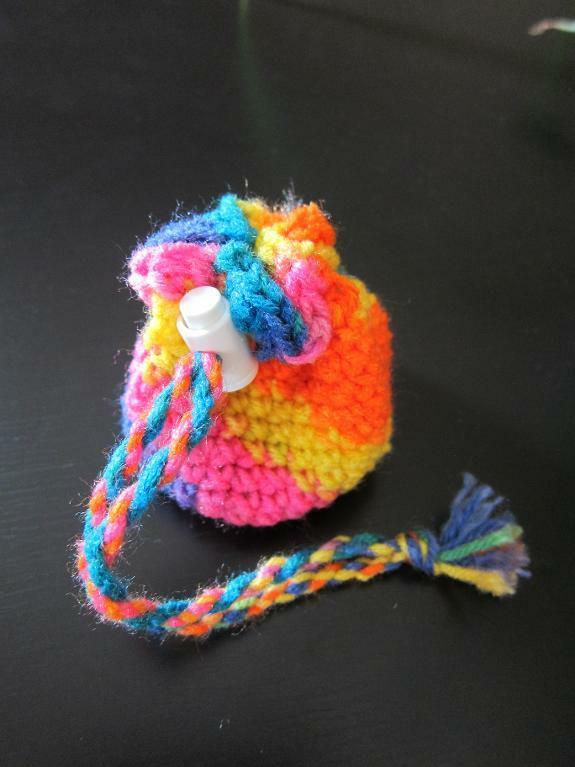 We love this small crocheted pouch in the colors of the rainbow! 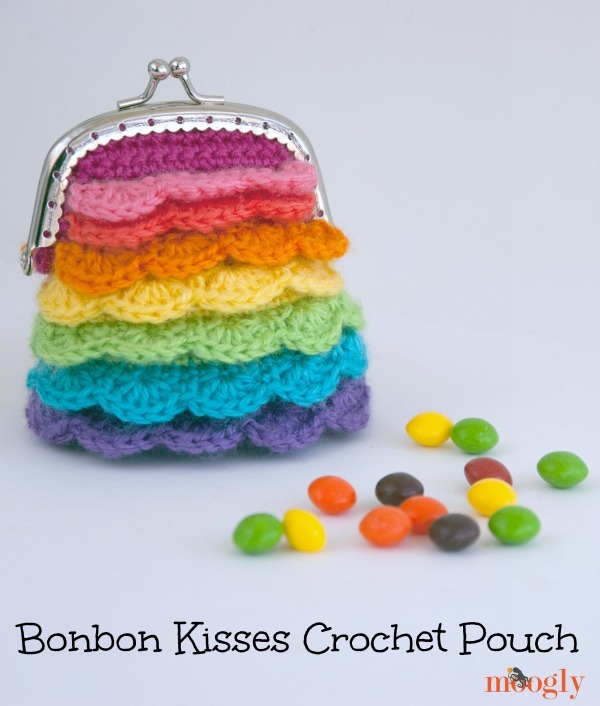 It is made with the awesome Lion Brand Yarn Bonbons – “Brights” pack. You can make two pouches out of one pack of yarn. There is a video tutorial included for this pattern. This little tapestry crochet coin purse is so easy to make and you will surely end up making plenty of them in the end. They make a perfect, cute and budget friendly gift. 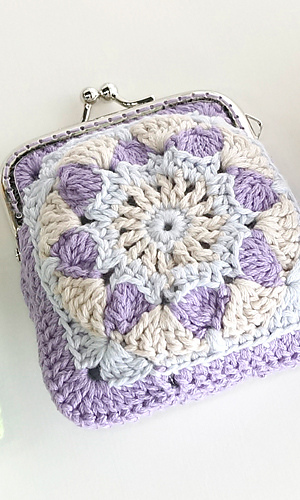 To make this purse you will need 3.5mm crochet hook 8 ply cotton in 2 colors, stitch marker, zip and some sewing thread & needle. How cute is this owl pouch? We love the idea, the design, the colors. Not to mention how owls are totally in right now. To crochet this pouch you will need cotton or worsted weight yarn, G size hook, tapestry needle, scissors, small button, 9mm animal eyes. When you have everything ready, just follow the free pattern which you can find on the link above. 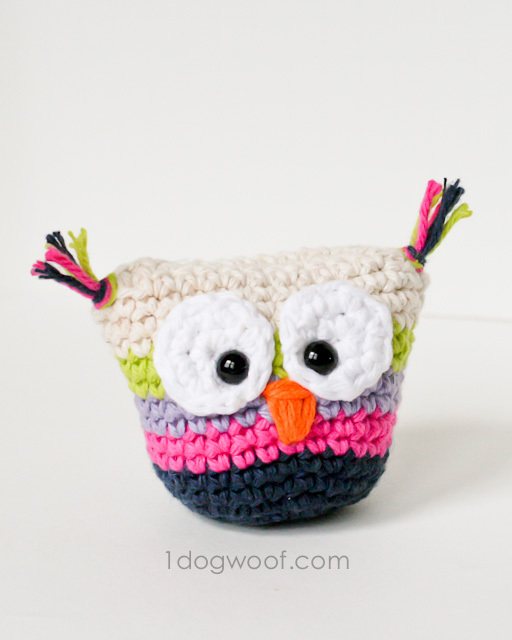 You need basic skills only in order to make this adorable coin purse. As for materials, you will need: small amount of ww yard, hook to obtain guage (g or h). You can download the free pattern in pdf, We love the bright colors chosen for the purse on the photo above, but feel free to use your favorite pallet. So chic! 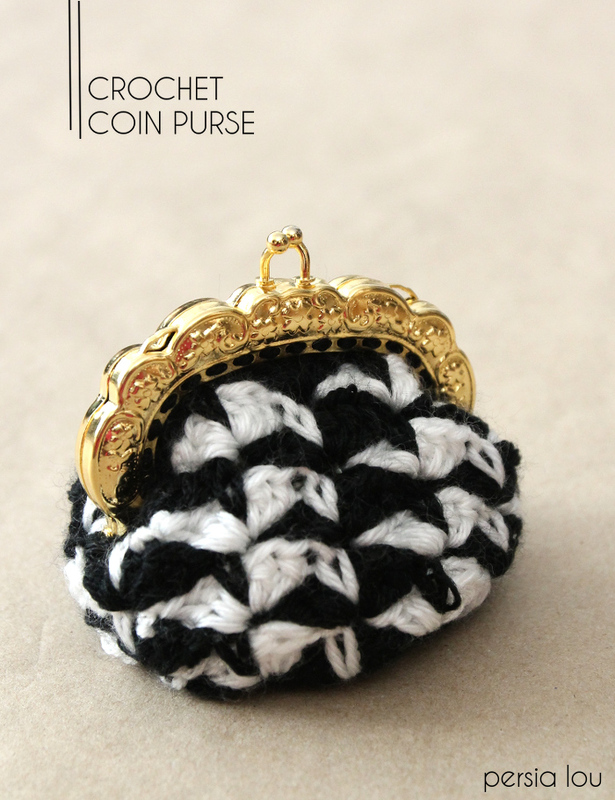 We love the black and white, we love the golden frame, we simply love this chic crochet coin purse! Can you believe the pattern for this purse is totally free? And even better, this purse is so easy to make. It would make a beautiful gift. To make it, you will need: Darice purse frame, worsted weight yarn, size H (5.00 mm) crochet hook and a yarn needle. If you are looking for a cool looking, easy level coin purse then this is the one for you! 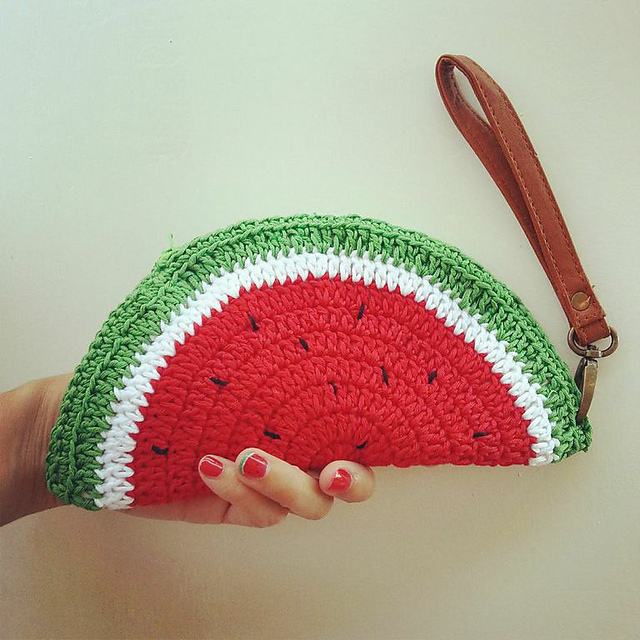 This watermelon crochet purse is so summer perfect and so easy to make. It makes an awesome gift which is also budget friendly. Simply download the free pattern and start crocheting. When done, rock it along a watermelon inspired manicure! 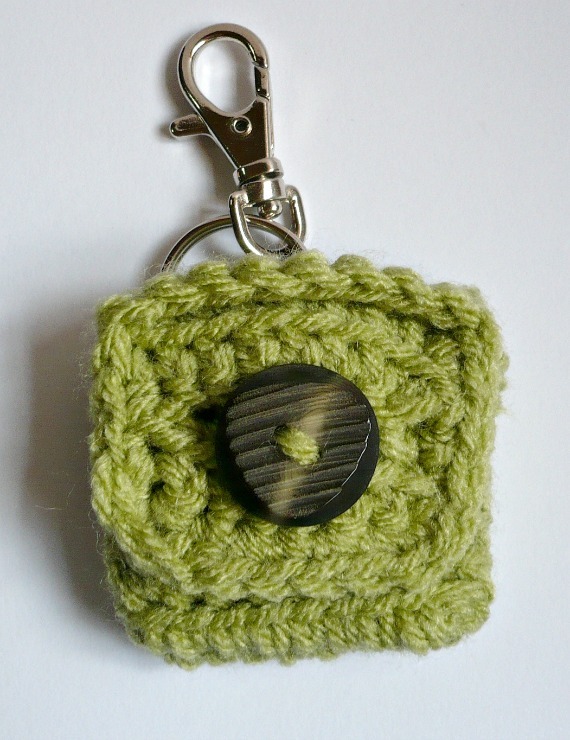 This small square coin purse with key ring and clasp is so simple yet beautiful. To crochet it you will need to prepare the following: worsted weight acrylic yarn, 4mm crochet hook, 0.875 inch button, swivel clasp with split ring and some stitch markers. We love the final result! Feel free to choose your favorite color for the yarn. 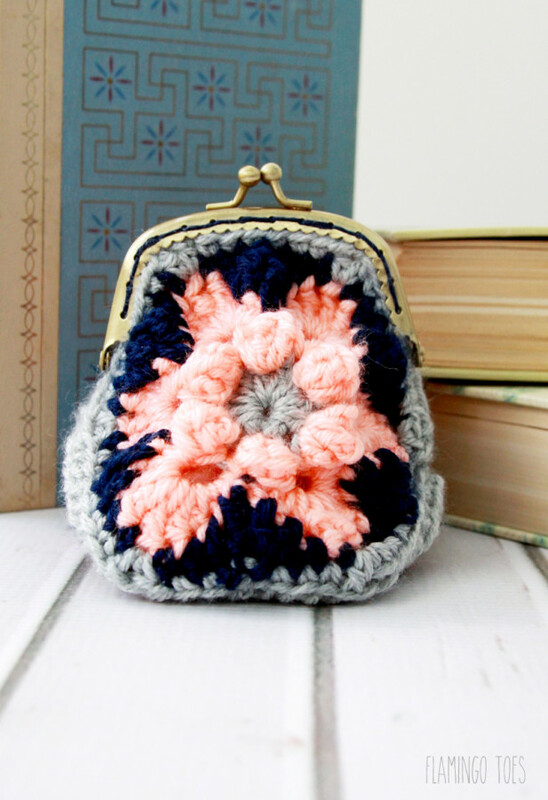 This simple little crochet coin purse is a quick and easy gift idea, perfect for a friend, teacher, or even for Mother’s Day! Just choose your favorite 3 yarn colors, some fabric for the lining, thread to match the lining, yarn and embroidery needles, some embroidery thread to match the coin purse and a sew on frame. These little cuties can be used for storing coins or makeup or whatever you wish! We love how easy and budget friendly they are. You can make a bunch of them and you can even use yarn scraps. The tutorial is in Spanish, but you can always use google translate. Here is another cute pattern for making a coin purse that is available for free both in English and in Japanese. Both English and Japanese versions are fully charted using standard knitting and/or crochet symbols. You do need to be logged in to ravelry.com to download it. Make sure to use 100% Cotton yarn.